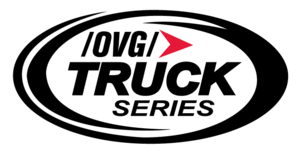 OVGTURNLEFT is our upcoming weekly fixed setup NASCAR series in ARCA Sim Racing X (based off of rFactor 1) using the NASCAR Camping World Truck Series trucks. You can download the game here or on the OVGTURNLEFT Google doc. If you want to join, please sign up and keep an eye on here, the thread, and the Google Document for more information. Instead of the usual method with the game throwing the yellow flag, someone spectating the race will instead manually throw yellow flags. This should seriously lower the amount of pace laps done per race as a flag will not be thrown for something simple like a single car being spun into the infield. Green flag runs will be longer along with tire and pit strategy coming much more into play as well. When the game displays the yellow flag, your position in the field will be frozen. Gently slow your truck down, and do not race to the line. Race starts on ovals will be double file, follow the car the game tells you to follow (press Tab on your keyboard to have driver names). Once the pace car passes the pit entry line, the leader may choose to go before the game waves the green flag. Passing before the start/finish line on the inside of your lane is illegal, passing on the outside of your own lane is legal. You will be given a penalty if you pass on the inside before the line. Race restarts will also be double file, but with manual grid reordering. When the caution laps comes to one lap to green, the leader will choose his lane. Look at your position number before this happens. If you are in second, you take the lane that first isn't in. If your position is an odd number, stay on the inside lane. If your position is an even number, you will have to move to the outside lane. Once again, passing on the inside of your lane before the start/finish line is illegal, while passing on the outside of your own lane is legal. You will be given a penalty if you pass on the inside before the line. The road course races will be a rolling start just as the ovals, but you are allowed to pass before the line in either lane. After downloading and installing the launcher, open it and right click the Event named "Local", and hit Download Items. This will download every car and track available through the launcher. You can also pick what you want to download by hitting the Downloads button at the top right which is useful if you only want to download necessary tracks. After launching your game by double clicking the Local selection, set up your profile. It is highly recommended to view the Options menu in the launcher. Things such as virtual mirrors in cockpit, self in rearview set to no, and using the 4GB exe are very useful to check off. 1) Download this bookmarks.xml and place it into UserData\YOURNAMEHERE, replacing the old .xml file. Make sure it is set to read-only (right click the file, hit Properties, and check the Read-only box). Once you are in game, hit Race Online, click the WAT: Truck filter in Favorite Servers, and join the server. 1) Create a folder named [your name]. 2) Inside that folder, create a folder named MISC. 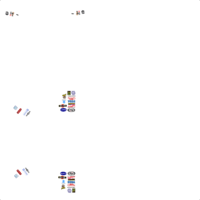 5) Place all of your other skins inside the folder named MISC. Follow the filename convention below. Hauler goes into your main folder named [your name], not MISC. If you want meme contingency decals, use the template on the right. It has boxes in the corners so you can just line them up. Feel free to change the ones on the B-pillar (the ones behind the side windows) as those ones are team based. Copying off of the 2016 NASCAR season points system, minus the Chase for the Cup format at the end. Points will be scaled according to how many drivers enter each race. For example, a race with 15 drivers, first place will get 18 points, second will get 14 and so on with 1 point for anyone who leads a lap, and 1 point for whoever has most laps led. Bind buttons to look left and look right. Change Spotter Lap Times to Except For Race or Never, and put Spotter Detail to Full in the Options menu. Learning how to setup an oval car takes a lot of time and effort compared to your average road car. Setups in oval racing also make a massive difference over a tire's lifetime, whereas in road racing you're changing your setup to better suit your driving style to gain a few tenths. Because of this it was decided that having a fixed setup would be better to keep the racing closer, since everyone will have to deal with the same handling issues as the tires wear out. iRacing fixed setup oval races are massively more popular than open setup oval races for a reason. I want my look left/right buttons to see more than 45 degrees each way. How do I fix this? Head to your .plr (located in ASRX\UserData\YOURNAME) and change the Glance Angle line to Glance Angle="1.57894" This will change the angle to 90 degrees, but feel free to change it to whatever you'd like. In the ARCA Config.exe, set your Shader Level to Quality (DX9). This page was last modified on 15 January 2019, at 16:42.